Looking to allow people into certain areas only? Want more control over who you give access to? Master Keys are the solution. A master key suite will allow each key to open one door, a group of doors or all doors, i.e. allows each person to open only those doors appropriate to their role or job function. Unauthorised cut-keys are responsible for massive losses in any industry and it is these losses, through theft and accidents, that can run into considerable costs for any business. Our restricted master keys mean that you can only get duplicates or copies of the keys if you are authorised to do so. This is extremely useful for many situations for example like on a main entrance door to a block of flats or hotels. In this situation it means other flat owners cannot just get keys cut for anyone else without getting permission and it also allows a record to be kept of who has had keys cut. If you are having building work done you can be sure the builders have not had any duplicates made if you lend them your keys. The stop key is utilised on the lock which has a hardened steel insert. 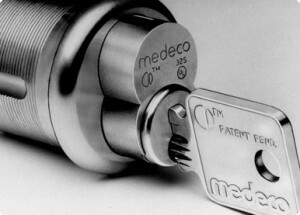 The stop key is manufactured to match the depth of the lock. The lock will only work when the correct key is inserted. Every key has its own number, keys are ordered pre-cut there are no shops with the blanks to copy your keys. We will not under any circumstances deal with second or third party users. All keys are sent out recorded post and must be signed for. Contact us about our Lock Fitting service. Our Locksmith services cover; Merseyside, Lancashire, Wirral and North Cheshire, Liverpool, Preston, Leyland, Southport, Wigan, Chorley, Warrington, Blackburn, St Helens, Leigh, Skelmersdale, Ormskirk, Burscough, Crosby, Formby, Maghull, Bebington, Bromborough, Birkenhead, Wallasey, Ashton-in-Makerfield and Haydock.